The social network has been secretly working on a news service for over a year. 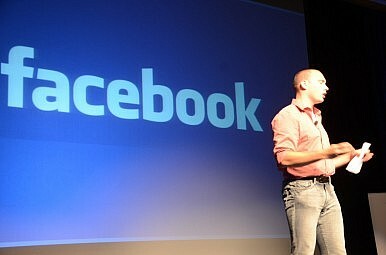 The Facebook informant alleges that the company has been working on the service for more than a year. They also claim that Reader will share many visual cues with Flipboard, a popular news app that allows users to create custom-tailored “magazines” from their favorite news sources and topics. Flipboard provides categories with suggested content, as well as allowing users to add more generalized topics of interest and hashtags, which a user “flips” through by swiping the screen of their gadget. A separate anonymous source told TechCrunch that, despite its name, Facebook’s reader will not be filling the shoes of Google Reader. Although Google Reader will shut down on July 1, Facebook Reader will not base itself on RSS – the most common format for subscribing to frequently updated web comment like news sites. The source also stated that recent RSS code that showed up in Facebook’s API was “just a prototype” and not intended for the Reader project. Why a news aggregator? First, because Facebook is pushing mobile, and mobile-based news services like Feedly, Pulse, and Flipboard are becoming increasingly popular. Second, because it is a convenient platform for increasing ad revenue. “Facebook COO Sheryl Sandberg recently said that every team at the social networking giant is ‘mobile first.’ The company is increasingly focused on mobile as a means to boost advertising. People use smartphone devices at home and at work, so Facebook can reach and serve highly-targeted ads to people at any time of day,” said VentureBeat. Facebook’s recently launched Home service, which is embedded with advertising, has polarized Android users. Perhaps Reader will provide a more well-received vehicle for delivering targeted ads to consumers. Adopting hastags and adding video to Instagram prove that Facebook is willing and capable of adjusting to the market to increasing users’ time spent on one site/one app. It isn’t clear whether Facebook Reader will be a standalone app or integrated into the Facebook mobile ecosystem. “There’s a chance this whole ‘Facebook Reader’ thing is actually just Facebook’s next evolution of the mobile news feed,” wrote TechCrunch. There has been no official statement from Facebook, so a release date is unknown. Facebook Reader will face competition from several other news aggregators that have recently launched or are set to launch as Google Reader alternatives. AOL launched a beta version of its own RSS reader last week, and Digg is expected to release another this week. Flipboard, the free app that Facebook Reader is alleged to be modeled after, has more than 56 million users. Demographic-specific video ads could arrive as early as the fall.